The new PRO DRY™ shirt is designed to function as a second skin. With the new Tri-Fiber fabric and True-Flat™ high-density seams this shirt disappears on your body. 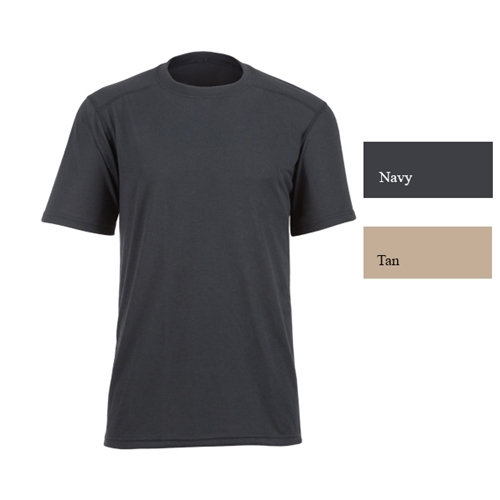 Constructed with 5.4 ounce DragonWear® Inherent Tri-Blend FR fabric, the PRO DRY™ shirts are designed as a base layer shirt to stretch and move wicking moisture away from your skin. These shirts are highly breathable, fast drying, and very durable. CAT 1, NFPA 70E, Arc Rating 5.5 cal./cm2. DragonWear PRO DRY™ FR Base Layer Shirt has a rating of 5 stars based on 4 reviews.